The prospect of moving office may seem daunting. But it’s just a process, and like any process, it can be broken down into a series of simple tasks and checks. With the right process, you can ensure your office move is on time, to budget and hassle free. Determine the motivations for moving the office. Lower property costs: Real estate costs can be high for some businesses and rising real estate costs could be a big motivator to moving to a new space. You may be searching for a cheaper location or a location that has similar rent but better amenities. Closer proximity to talent: You may be struggling to find qualified, skilled employees for your business because your location is too remote or requires a long commute. Moving to a more convenient, central location could help improve your employee pool. Better proximity to your target market: Your current location may not place you close enough to your target demographic or your target market and your business may be suffering because of this. You may be on the hunt for a new location that helps you tap into your target demographic. Improved lifestyle and culture of the business: You may be an entrepreneur who is looking for a new location that is closer to your home or the homes of your key employees. You may also want to move the business closer to other amenities, like outdoor areas, food spots, or corporate buildings, that will improve the culture of your business. Opportunity for business growth: Maybe you settled on your current location when your business was just getting off the ground and now you realize it is not the best place to grow your business. Or maybe you feel your current location is limiting your potential for business growth. Consider the requirements for the new office. You should sit down with your management team and determine what exactly you require of the new space. This could be more office space for new staff, bigger conference rooms, a larger warehouse, or more retail floor space. You should consider the needs of your business and how the new office can help the business fulfill these needs. A broker is an individual who helps you find property and works as a go between to a real estate agent. A good broker can help you find a property that will satisfy your business needs without going over budget. Brokers tend to specialize in certain types of buildings and areas. Once you determine what you require in your new location, look for a broker who is specialized and knowledgeable. Try to hire a broker early in the process so the broker has time to present several new location options to you. 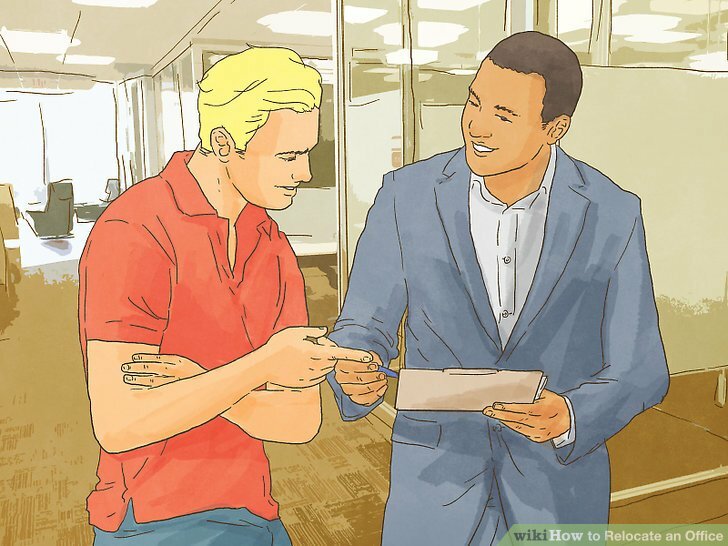 You can ask your real estate agent for a broker recommendation. Talk to other contacts in the business community for broker recommendations. Discuss possible locations with your employees and stakeholders. You should involve your employees and your stakeholders in this big decision, as it will have a major impact on them. 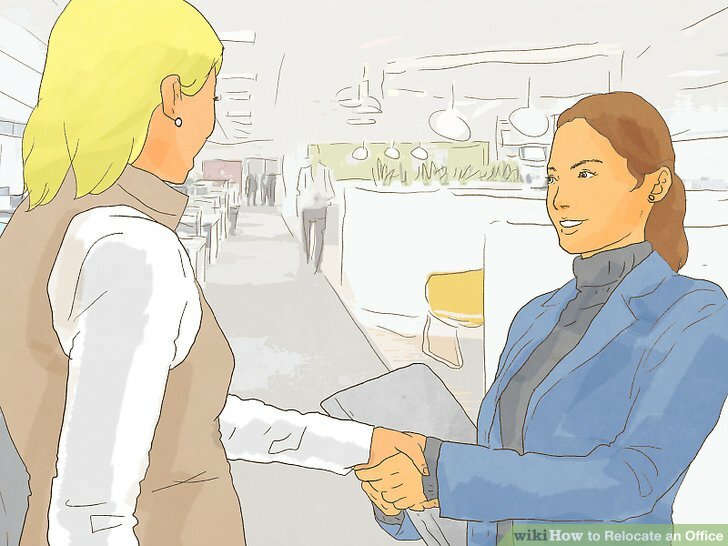 Hold a town hall meeting with your employees where you present several possible locations for the move. You should discuss the pros and cons of each location and show the employees photographs of the spaces. Encourage employees to share their thoughts and perspectives around the potential locations. If you have stakeholders in your company, you should prepare a presentation for the stakeholders about the relocation. Show them pros and cons, as well as photographs, so they can then advise you on which location may be best for the business. In some cases, you may be required to consult with your staff and your stakeholders about a possible move. You may also need to talk to unions, regulators, your parent company, your board members, and your department heads. Budget for the costs of the move. The cost of moving supplies, such as boxes, tape, etc. The cost of hiring professional movers. Many companies avoid mistakes during a move by hiring professionals to lift heavy office items. The cost of down time for the company during the move. You should think about how the business is going to operate during the move and ensure you can afford a few days of non-operation while the office gets set up in the new location. You will likely need to let the real estate process go through and allow time for any renovations to be completed. This should not add to the down time of the company as long as these processes are planned while the company is still in the old office. Assign moving roles among the staff. 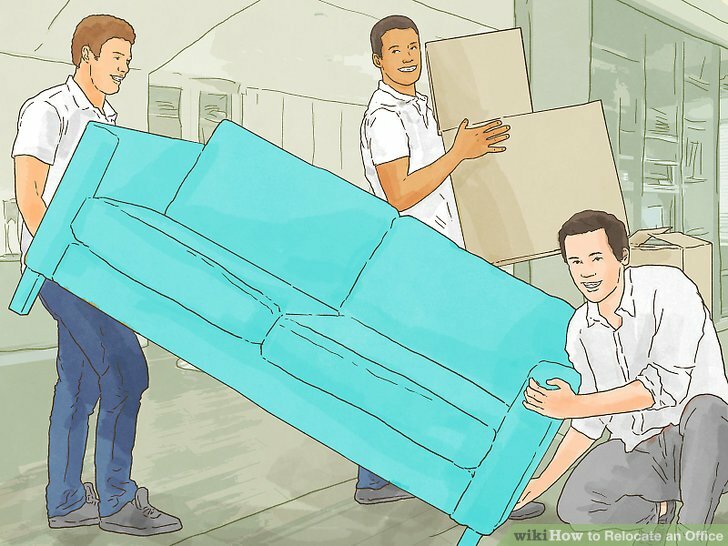 Try to do this at least six months to twelve months before the move, especially if you’re moving a large office with a large number of employees. You may choose one key person to be the “move champion” who spearheads the move team or you may suggest a few individuals in management positions run the move team. 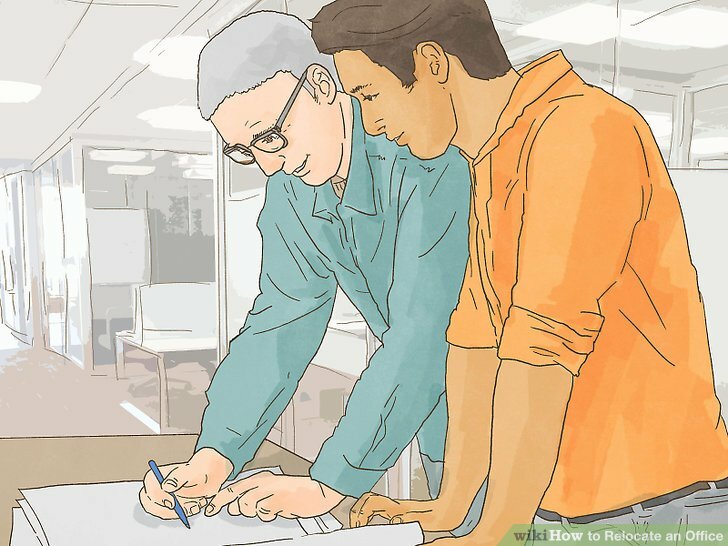 Assigning roles to the staff will help ensure the relocation goes well. The move champion should be someone that is senior enough to make decisions and someone who is able to multi task. 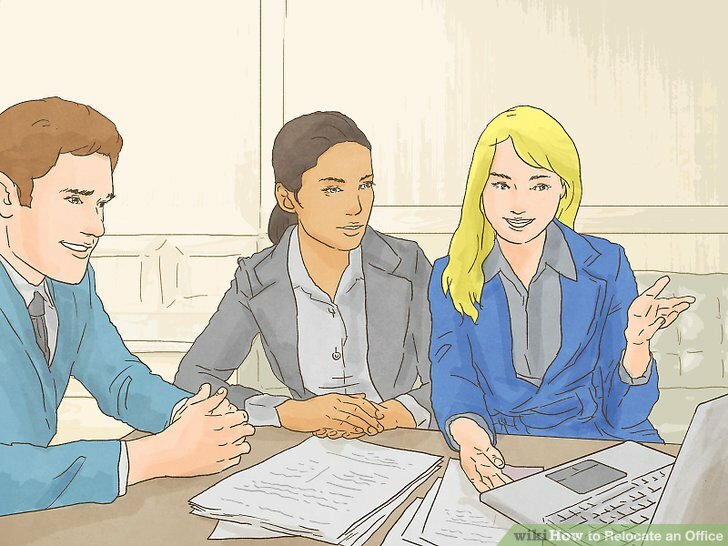 You should also make sure this person can motivate and communicate well with the other employees, as they will need to talk to the staff, the broker, and stakeholders about the move. 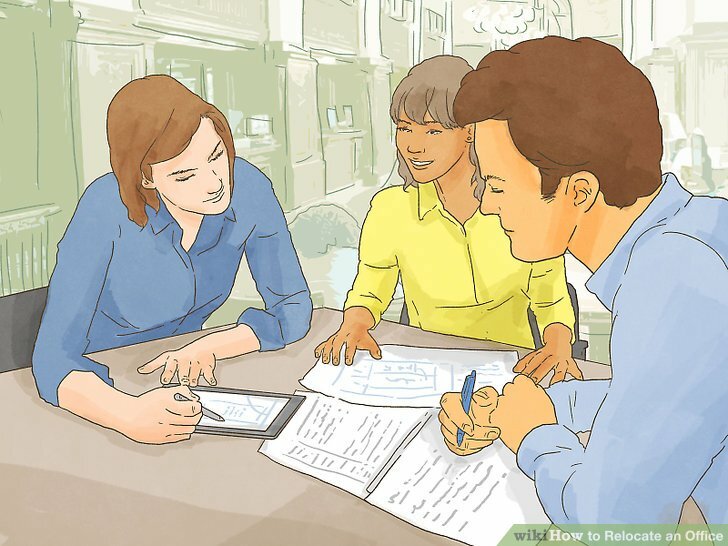 You should also share your budget for the move with the move team so they are aware of how much can be spent on the move. Make sure you check in periodically with the move team, if you are not on the team, to ensure the move stays on track. You may also use existing roles within the company to build the move team. 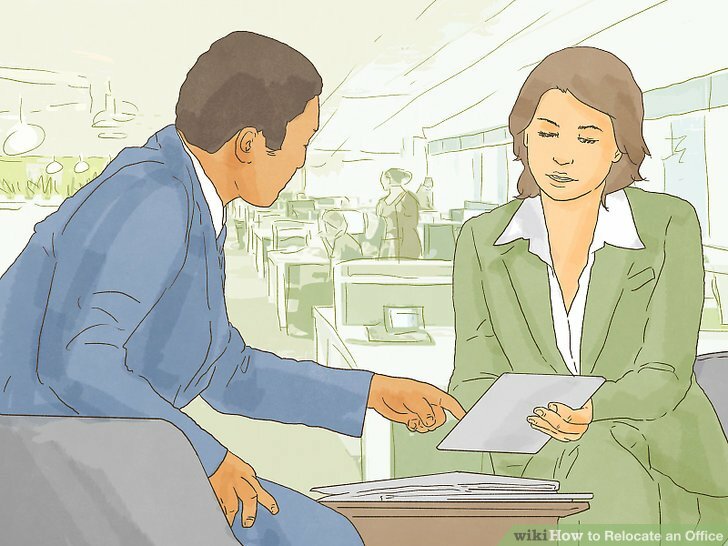 You may assign the manager to be the move champion, for example, as they are the most senior individual among the employees. You should take inventory and know exactly how much stock you have in your company. 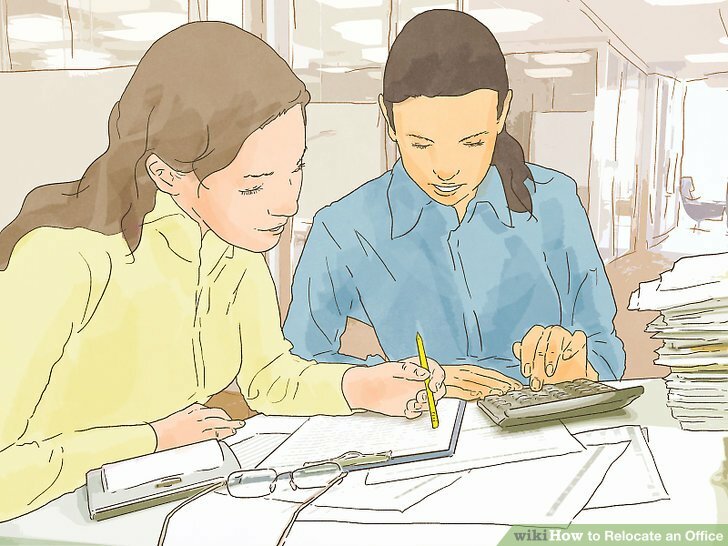 You should also go through your inventory and your office supplies to identify any items that are no longer used. Mark these unused items with post-its so you know they are not going to be moved to the new location. This will help you get a sense of how much inventory will need to be moved and any inventory that will be disposed of. Keep accurate records of your inventory. Go through each department or area of the office and identify items that are going to be moved and items that are not going to be moved. This is especially important if you are moving client files and documents as you do not want to misplace any important files during the move. You may want to assign the move team with photocopying important documents and storing copies so they do not get lost in the move. Create a timeline for the move. Outline a detailed timeline for the move in consultation with the move team. If you are planning to use professional movers, you should contact them as soon as possible. Propose a time and date for the move and see if the movers are available around this time. You should try to book professional movers at least six months before the planned move date. This will give you enough time to prepare. 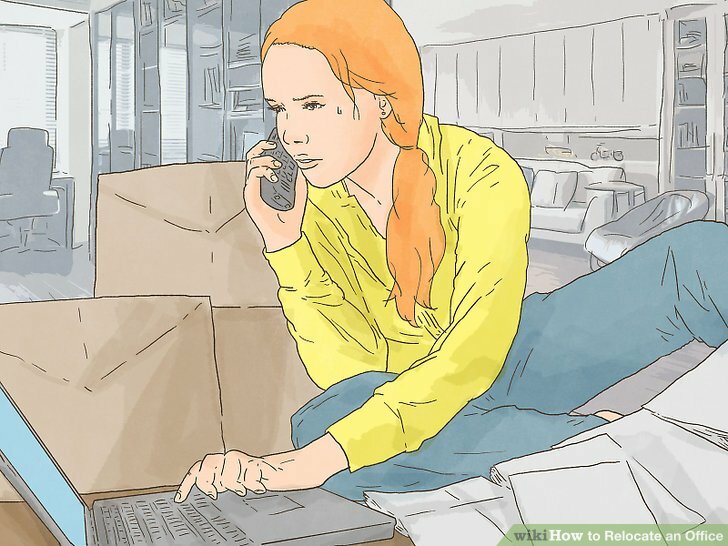 You should also determine if the movers are going to be packing up everything in the office or if staff are going to need to pitch in to pack up boxes and stock. You may want to consider your budget and choose an option that will allow you to stay within your budget. Make an office floor plan based on the new location. Once you have a timeline for the move, you should sit down with the move team and leaders in the staff to create a floor plan based on the new location. You should note where each department will be situated and consider the most practical and efficient way to do this. 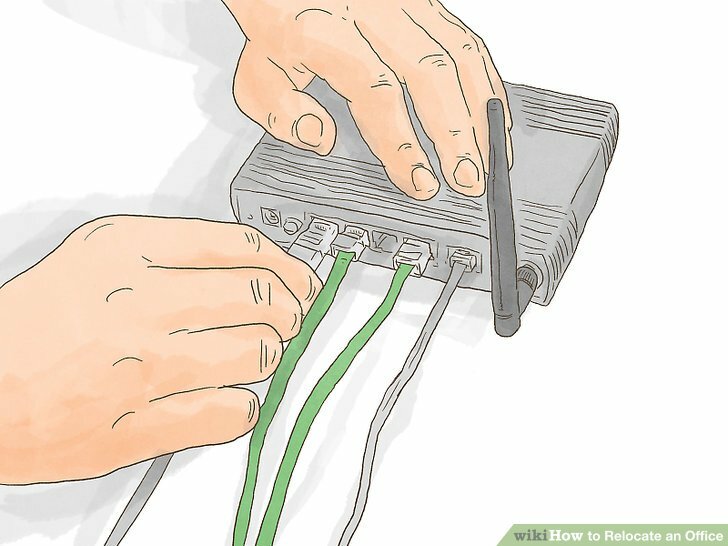 For example, you may put the IT department next to the server room as they will likely need access to this room more than any other department. 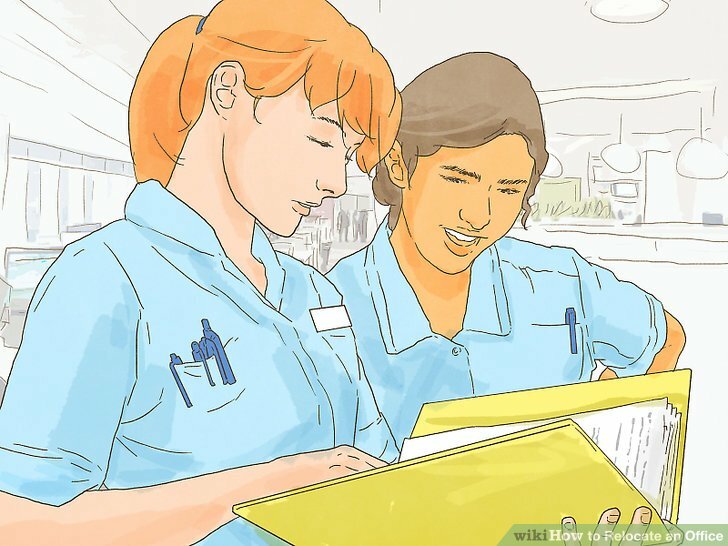 You may also change up the organization of the staff in the new space. For example, you may switch to an open floor plan instead of cubicles to foster more communication and discussion among your staff. Do the relocation during a down period. 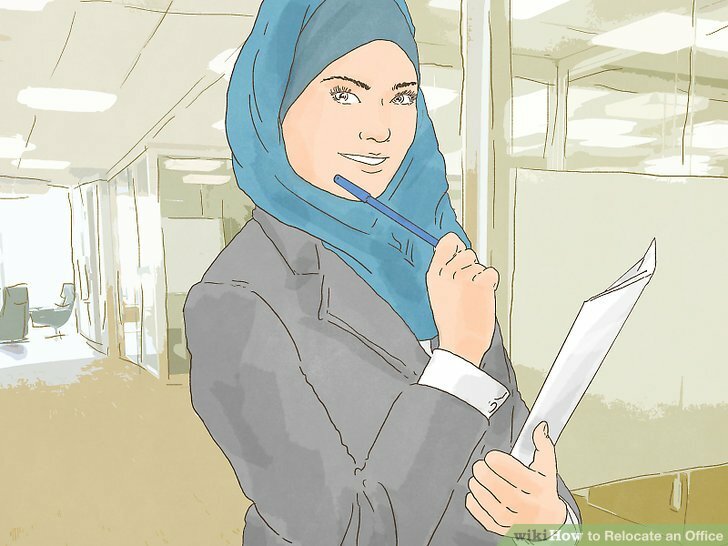 There is no right time to move an office as no matter what, you will not be operational for a few days. However, you should try to plan the move during a down period or a known slow period for your business. This could be in January, as it is often slow after Christmas in December, or this could be in the summertime when you have fewer people in the office. Discuss preparations with the moving company. 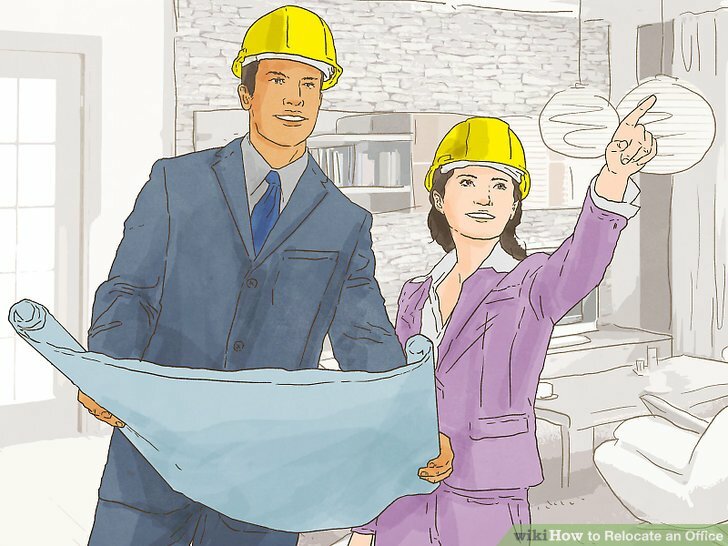 Every moving company will have their own protocol for relocating an office. You should discuss any preparations that need to be done on your end to make the move as smooth as possible. For most companies, the IT department is essential to operations. You may want to arrange for the IT department to move into the new space gradually so it is set up first in the new space. This will ensure the company can get up and running much quicker after the move. 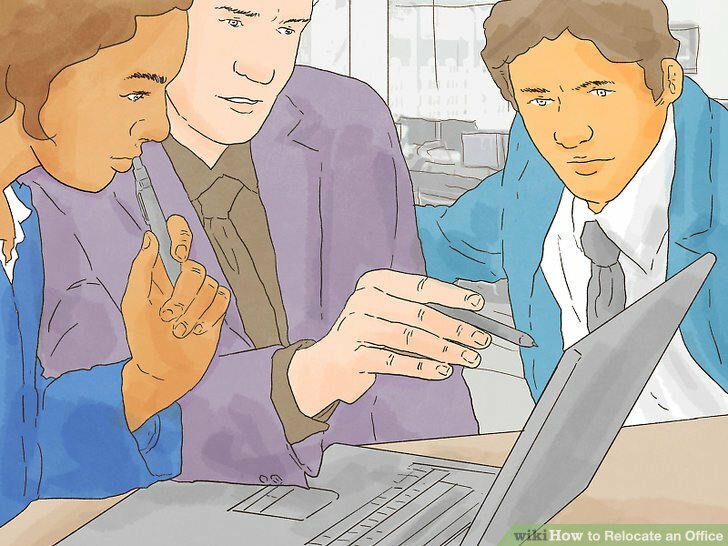 You may also want to work with your IT department to arrange for any upgrades to equipment before the move occurs. This will ensure the IT department is up to date and running efficiently in the new space. Set up key departments first. You should prioritize your key departments so they are moved into the new office first and can be up and running right away. This could be key employees in a department, like customer service representatives, or major departments that make up a huge part of your business, such as the manufacturing department. Focus on key departments first and move them ahead of other departments that can work remotely or on a looser timeline. Talk to your company’s insurance company about moving insurance, as companies are required to get insured for any major moves. 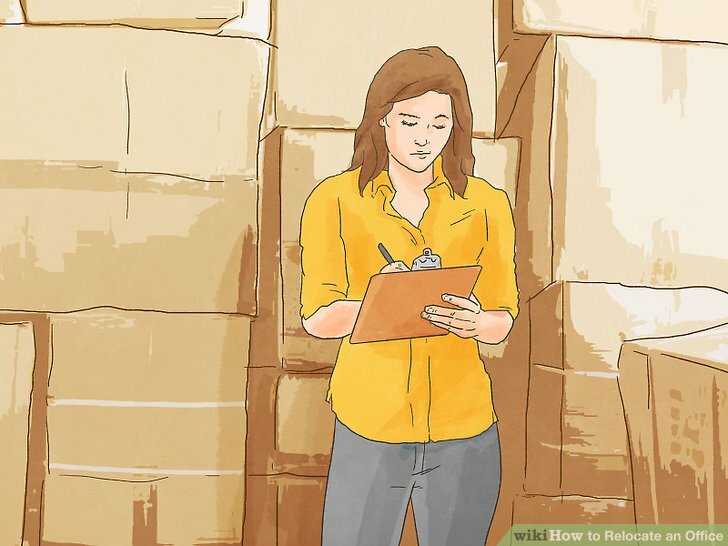 You will need to provide an accurate list of your inventory and estimate the worth of the total number of items being moved. Arrange for a clean up crew for the old location. You will need to leave the old space as clean as it was when you moved into the space. You may need to organize a clean up crew made of volunteers from the company or hire cleaners to come in once the space has been cleared out.